Mica is a monoclinic system, mainly produced in pegmatite, granite and mica schist. At present, there are many problems in the field of ultrafine mica powder grinding, such as low production capacity, low ratio of high-grade powder, large particle size range and so on. Mica powder production generally need crushing and grinding machine. The large pieces of mica is crushed to small pieces of material(generally below 3-5cm), and then sent it to the mill machine for grinding. 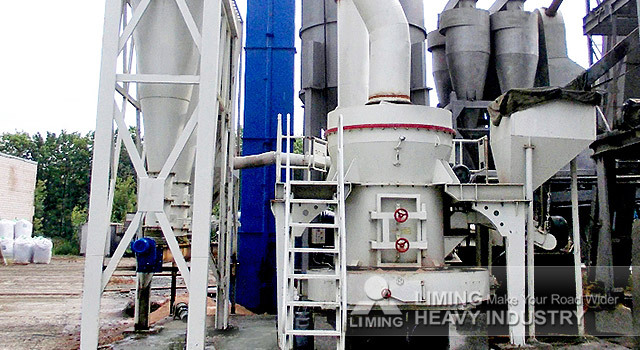 As the large-scale mining crusher and grinding mill equipment manufacturer, Liming Heavy Industry can provide complete mica ultrafine powder production line, which includes belt conveyor, small jaw crusher, bucket elevator, regulating hopper, feeder, grinding mill, dust collector, powder collector and others. More details about mica powder making machine, please contact our online customers services.